Phoenix Energy, renewable energy products supplier, supports economic development of Lebanese rural areas by promoting optimized resource management. Phoenix Energy participated in an open round table discussion between ministers and specialists from Lebanon and Spain. The event, that took place on 12 January 2012, promoted advancement of rural areas in Lebanon by tackling major challenges and learning from successful experiences of Catalonia, Spain, in solving similar problems. 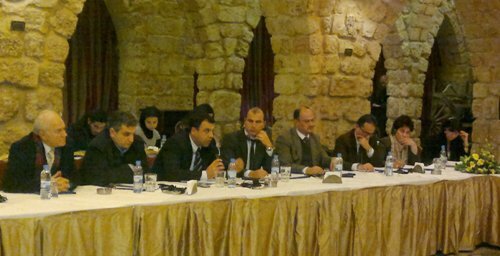 The round table was held at Hotel Al Saha, Beirut Airport Road, Lebanon. The objective of the event was to discuss rural resources agriculture, energy, forests, and responsible tourism. Addressing energy and forest issues, Phoenix Energy Marketing & Sales Manager, Fadi El-Chiti, discussed the supplier’s readiness to improve heating situation in rural areas by providing biomass boilers. Biomass boilers serve to promote use of renewable energy resources and reduce dependency on scarce and expensive diesel fuel by using renewable olive mill by-products (olive husk). Rural areas present diversified and solid economic potential, despite evident limitations arising from social, economic and climate issues. The round table provided a platform of exchange, highlighting issues in common between Lebanon and Spain to establish bonds of cooperation and promote the exchange of expertise and "success stories". The round table was chaired by Catalonia Minister of Agriculture, Livestock, Fishing, Nutrition & Natural Environment, Josep Maria Pelegri Aixut, Lebanese Minister of Agriculture, Hussein Hajj, and YMCA Executive Director, Joseph Awad. Phoenix Energy recently partook in a joint project between Young Men’s Christian Association (YMCA) Lebanon and Centre Tecnologic Forestal De Catalonia (CTFC), Spain to support the development of the pilot forest in North Lebanon for Aito and surrounding villages. The project was in line with the round table’s aim to promote development of rural areas. The renewable energy products supplier installed 2 biomass boilers in Karm Saddeh village in Aito, Lebanon. One of the boilers will heat Karm Saddeh public school and the other the Karm Saddeh municipality facilities.